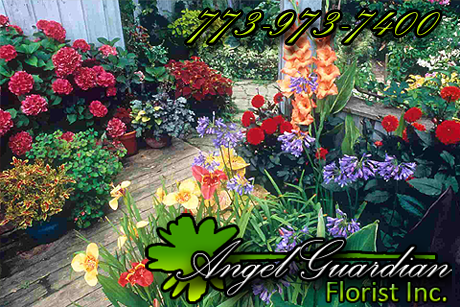 Angel Guardian Florist, Inc. provides home owners in the Chicagoland area with superior design, installation, and on-going maintenance gardening services and floral arrangements. Our gardening experts consult you on exquisite botanical concepts that compliment the location and style of your home's architechture and layout. Whether you require urban landscaping or interior landscaping solutions, our creative team of florists will enhance your home environment with the most beautiful and aromatic floral arrangements. And as Chicago's leading florist with over 100 years of meeting the highest service standards, you can remain confident that your residential habitat will always remain fresh and beautiful.